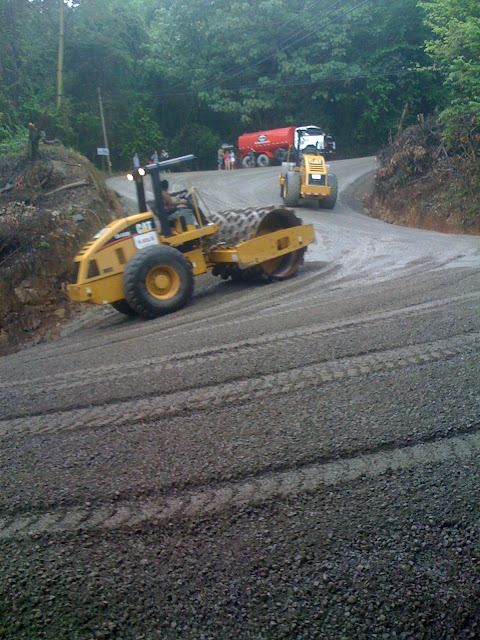 Last October, the ambitious proyect to stabilize and pave the hill on route 624 was completed. This project became a reality thanks to the support from Carlos Eduardo Acosta Monge, engineer and executive director of CONAVI, and of course thanks to Francisco Jiménez Reyes, engineer and minister of Public Works and Transportation. This has resulted in the improvement that the local community has been eagerly awaiting for some time and which allows, after 8 years, to have reliable access to Montezuma and Cabuya. 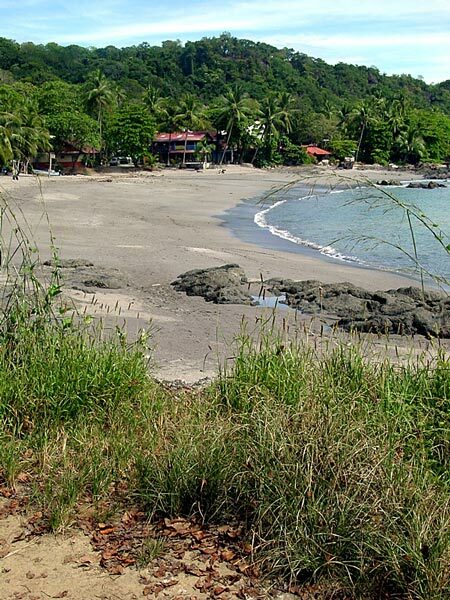 Let’s remember that in August of 2003 the CNE (National Emergency Commission) had ordered the closing of this road which is the main access to Montezuma due to several landslides recorded a month earlier. After many fruitless attempts, on March 26, 2010 CaTuMo filed a lawsuit with the constitutional court so that all necessary measures to eliminate the dust problem and pave the way could be adopted and carried out. The constitutional court agreed to hear the case on July of the same year and resolved that in a period of 12 months the problems needed to be solved. This was how, thanks to the assistance from Ing. Marco Antonio Rojas Jenkins, director of roads and bridges of the CONAVI and especially to the indefatigable work of Ing. Migue Ángel Arroyo Murillo, director for Guanacaste, that the first stage of this ambitious project became a reality. 1,115 cubic meters of stable base material (the equivalent of 93 trailer wagons at 12 cubic meters each), 1,250 sacks of cement and 308 metric tons of asphalt. It is not up to us to evaluate our own contributions, fundraising and management efforts, but we would like to express our pride for having received the unconditional support of our membership and our neighbors in the community who have patiently endured the inconveniences caused by the closing of the road. We thank you all for trusting us and believing in us and we thank all those people who contributed in one way or another during the long seven years and very intense past few months, and we hope to be able to count them in for the second stage of the project which will begin on the last week of november 2011. This stage will comprise of the reconditioning of the road surface and storm drainage for a 6.7 km. segment of the road between Cóbano and Montezuma (the first quadrant) where 7,000 cubic meters of base material will be placed. Antonio Vallese, President of CaTuMo, reports that the paving project on the hill has been delayed due to a need for more cement to stabilize the base, which has not been provided by the Municipal Council. The Montezuma Chamber of Tourism has directly negotiated a request with the National Emergency Commission (CNE) and we hope we can get the cement shortly. At the same time, we are collecting donations to acquire some of it from the Montezuma community and from Cóbano. CaTuMo urges all those who wish to make a donation, even a few sacks of cement, to contact Antonio directly at 8832-3375. CaTuMo is grateful for all the support shown by the community with respect to such an important project since all maintenance contracts for this road, Route 624, have expired and it has become uncertain when they will be reactivated. The amount of cement needed from the community is 150 sacks. A list of the donors will be published on this forum as recognition for their contributions and to provide transparency to this process. Asociación Pro desarrollo turístico de Puerto Moctezuma.